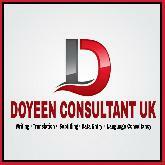 Mission Statement: To provide bespoke translation services within a quality and timely framework. Advertising (marketing), Advertising (media), Aerospace, Agriculture, Architecture, Art/literary, Automotive, Biotechnology, Business products, Chemical, Compliance, Construction, Consumer products, Defense, Electronics, Energy, Engineering, Entertainment, Environmental, Environmental Engineering, Fashion, Finance (Microfinance), Finance / Banking / Accounting, Financial/markets, Government, Healthcare, Higher Education, Homeopathy, Hospitality, Information technology, Insurance, Internet/E-commerce, Investment / Securities, Journalism, Law/Legal, Logistics, Machine tools, Management, Manufacturing/Industrial, Marketing/Communications, Medical/Life Sciences/Pharmaceutical, Metallurgy/casting, Oil, Paper/paper mills, Pharmaceutical, Philosophy, Real estate, Religion, Safety, SAP ERP, Security, Social sciences, Software, Software (educational), Software (games), Software (multimedia), Sports, Telecommunications, Tourism, Training/Education. There needs to be coordination between the client and the agency through the various teams in place. The translation team includes: the project manager, the translator, the reviser, the proofreader, and in certain cases a reviewer and/or an editor who work collaboratively to give feedback to the client. •	The Project Manager confirms deadlines, format, fonts and any other special requirements from the client. Once a client provides a list of requirements for a project, a translator who is a native speaker of the target audience with an experience in the same subject matter or industry is assigned to the project. Depending on the scale of the project, multiple translators might be assigned to complete the task. A final check is done to ensure nothing is missing. If something is missing, the project manager is notified in order to maintain quality assurance in translation. The last step in ensuring that quality assurance in translation is maintained involves the client reviewing the translated assignment. Clients provide feedback and might ask for improvements. Do you have a very urgent project or not certain we will complete it within the deadline? Our team of 4000+ qualified transators in over 150+ languages will tailor your request to your needs. We have a daily capacity of 100,000+ words. Mediterranean Editors and Translators, Sultan Qaboos University, Universidad Femenina del Sagrado Corazon, Università degli studi della Tuscia.